Happy Mother's Day to all. 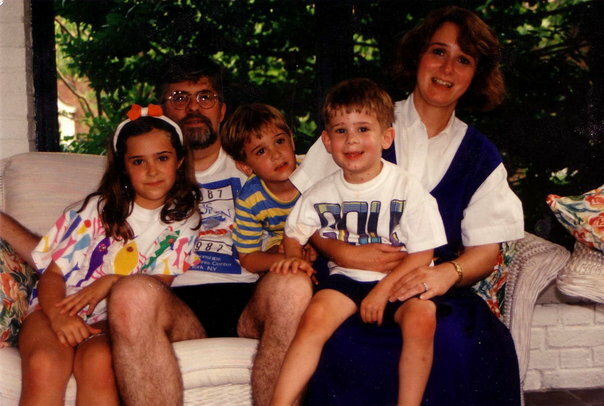 Here's a picture of my family, circa 1993ish, back when my brothers and I hadn't caused my parents' hair to grey completely yet. My mom's there on the right, looking today much like she did 17 years ago (albeit with a different hair color). She's the best mom I could ever wish for. So, to my mom - Happy Mother's Day.